Sixty-nine charity leaders have signed a joint letter to the Prime Minister calling for a revised funding settlement for health and care. The charities describe the current pressure on health and care as “not acceptable or tenable.” The signatories also call for the development of models of care that work for people with chronic needs and a reaffirmation of the government’s backing for the Five Year Forward View. The Budget on Wednesday 8 March provides the Prime Minister with a chance to help resolve the crisis facing health and care services. Download the full letter from the National Voices website. The Survivor Researcher Network (SRN), hosted by NSUN, is a network set up to support people with lived experience of mental distress with an interest in research. We produce a 6-weekly SRN bulletin. If you would like to subscribe to the SRN news then please contact Emma Ormerod. Visit the SRN page for more information. It is with great sadness that we share the news that our friend and colleague Patricia Chambers died last year. 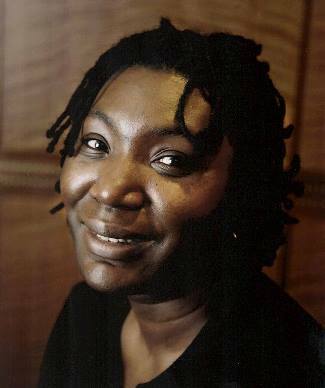 Patricia was a leading light for the BME survivor movement, involved and active both locally and nationally. We shared an office with Catch-a-Fiya when NSUN was established and Patricia was newly appointed as the Catch-a-Fiya Manager in 2009. Patricia led work on the Dancing To Our Own Tunes recommendations to develop the TOOTS charter and was a huge support, advocate and motivator for those who worked with her. Patricia was involved in many initiatives and organisations and leaves an inspiring legacy. Jayasree Kalathil has written a tribute which you can read on the NSUN Facebook page. Our thoughts are with all who knew and loved Patricia. We are organising an event for us to come together to remember and celebrate her life and spirit, and for us all to gather together in each other’s company and friendship. This will be an informal, self-funded event. We really hope you can come. It’ll be great if you can let us know by email or the Remembering and Celebrating Patricia Chambers Facebook Page, Please forward the information on to other friends and colleagues who would want to be there. To register your interest, encourage those walking, offer to host an event en route, highlight a service, offer accommodation or simply state your support please take a few moments to complete our questionnaire: To register your interest, encourage those walking, offer to host an event en route, highlight a service, offer accommodation or simply state your support, please complete this short questionnaire. As part of his residency, ‘Reclaiming the languages of lunacy’, on Monday 24 April and Tuesday 25 April, Sean will be performing and leading a creative workshop based at The Art House for artists who have lived experience of mental distress. Further details and the application form can be found on The Art House website. 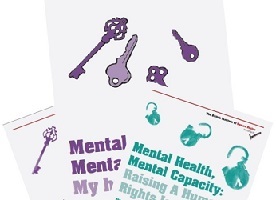 The British Institute of Human Rights (BIHR) has published three new guides on mental health, mental capacity and human rights. The booklets aim to empower people using services to advocate for their own human rights. BIHR have co-produced the booklets with six advocacy and support organisations, including NSUN, as part of a project called Care and Support: A Human Rights Approach to Advocacy. My Human Rights contains information about what human rights are, which rights are most relevant for people using mental health and mental capacity services and explains who has duties to uphold your rights. This is also available in an accessible version. Raising a Human Rights Issue contains tips and tools on how to use your human rights. This workbook contains flowcharts and worked through examples to help you identify whether public officials are interfering with your rights and the action you can take to challenge this, outside of courtrooms, in everyday situations. BIHR has been road-testing these resources and, following feedback, we have launched these updated versions. They contain real-life examples of how people using services (and their advocates) have used human rights to negotiate for better outcomes. Viewpoint works with mental health and drug/alcohol services users to help improve services in Hertfordshire. They are looking for a new Treasurer to join their Board of Trustees. Ideally you will have experience in financial accounting and be interested in supporting our work. You will be expected to attend a six weekly board meeting, which currently occurs on Tuesdays in Welwyn Garden City 5-7pm. You may also be asked to attend occasional sub-committee meeting, strategy sessions or other adhoc events. If you are interested please call Mr Leslie billy on 01707 386136 or e-mail him. The launch of the Woman to Woman fund was recently announced. With grants of up to £25,000, no fewer than 100 local grassroots women’s organisations across the UK will be supported using funds from the ‘Tampon Tax.’ Grants are available for groups with an income of under £100,000 per year, to support a wide range of charitable work that benefits women. The King's Fund have announced the winner of the'The NHS if...' essay competition, in which they asked the public to imagine scenarios for the future of health and care. In her winning essay, Sue Brown explores how the NHS might change if the government increased taxation and used this money to fund services closer to home. In her runner-up essay Verity Murricane considers what would happen if the NHS changed its approach to risk. Brake is a road safety charity working to stop the tragedy of road deaths and injuries, make streets and communities safer, and support people bereaved and seriously injured on roads. Working in a post part-funded by the Ministry of Justice, and supported by an experienced team, you will provide over the phone a one-stop-shop of support that meets bereaved and injured clients’ needs to exacting standards. You will be liaising with clients facing their darkest hour. You will be required to do so in a highly sensitive and empathetic manner, providing emotional support alongside complex information and advocacy requiring high level diplomacy skills and confidence in desk-based research utilising the internet, phone and your natural problem solving talents. For more details and to apply please visit Brake's website. 'A Disorder for Everyone' explores the culture of psychiatric diagnosis, challenges it and proposes to create change. The events are your opportunity to have your input. The events take the form of a one day Continuing Professional Development (CPD) for everyone who is interested in the current debates around mental health. It aims to attract psychologists, counsellors, service users, psychotherapists, mental health support professionals, psychiatrists, mental health survivors, people with lived experience, managers and individuals with a personal interest. Facilitated by Dr Lucy Johnstone and Jo Watson as well as Dolly Sen (Bristol), Jo McFarlane (Edinburgh), Rai Waddingham (London). It is a chance to discuss the critical questions of the day around the biomedical model in mental health. For Bristol and Edinburgh, prices range from £0 to £ 99. For London, cost currently stands at £79 - £99. All free sponsored places have gone but attempts are being made to secure more sponsored places. Keep checking with booking pages. Each booking page offers details about the events and presenters (with their website / twitter details). 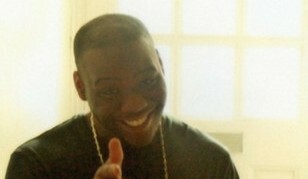 You can also read Jo Watson's blog 'Time to 'Drop the Disorder' on the Mad In America website.